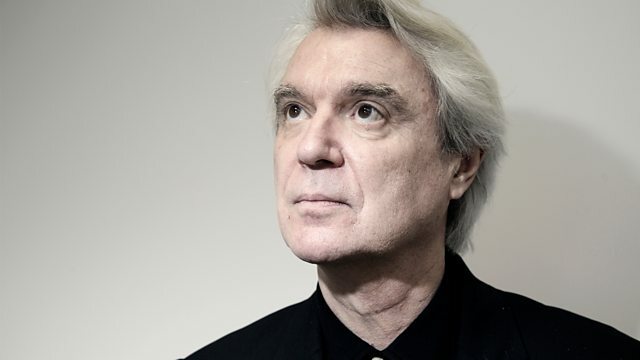 Kirsty Young interviews David Byrne, musician, writer and former front man with Talking Heads. David Byrne was a founding member of the band Talking Heads. Born in Dumbarton, Scotland, he emigrated first to Canada and then to the USA before the age of ten. He started playing in bands at school and, when art school didn't work out for him, he founded Talking Heads with a couple of friends. They played their first gig, opening for the Ramones, at the legendary New York club CBGB's, in June 1975. Eight studio albums later, cracks were beginning to show in the relations between band members, and by 1991 Talking Heads had officially split up. Since then, he has enjoyed a solo career, and also made films, published photographic books, composed scores for musicals, created art installations and written books. He has received an Academy Award for Best Original Music Score, as well as a Golden Globe and a Grammy, for his soundtrack to the 1987 film The Last Emperor. He and his fellow Talking Heads members were inducted into the Rock and Roll Hall of Fame in 2002. He lives in New York and has a daughter in her late twenties from his 17 year marriage to Adelle Lutz. Will Ye No Come Back Again? The Songs of Lady Nairne. The Very Best of Woody Guthrie. THE BEST OF TOM ZE.